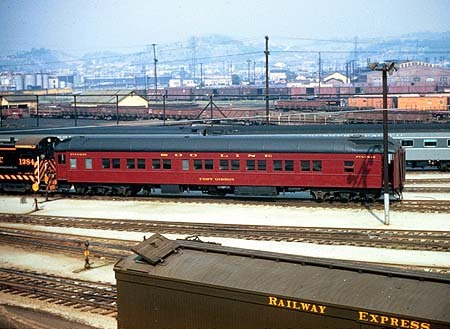 The following photos of heavyweight and lightweight passengers cars at the Mission Road Coach Yard in Los Angeles in the early 1950s were taken by Lou Cross, a custom builder of O-scale passenger cars. 1. 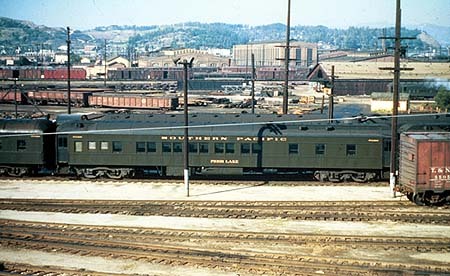 Southern Pacific 10-1-1 Pullman "Prior Lake" (Plan 3973A; Diagram 63; Lot 6300; built Oct-Dec 1929; sold to SP 12/48*). 2. 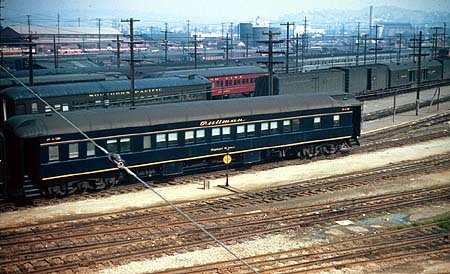 Chicago, Rock Island and Pacific chair car. Possibly came in on a train such as the Imperial. Note the switchman at lower center and the yard office on the left. 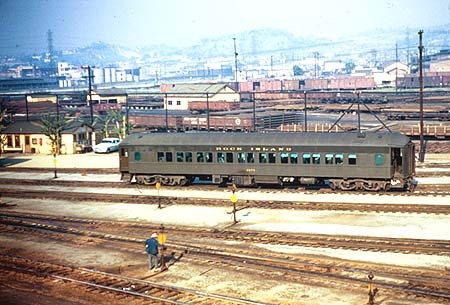 For a larger image of Soo Line "Fort Gibbon," click here. 5. 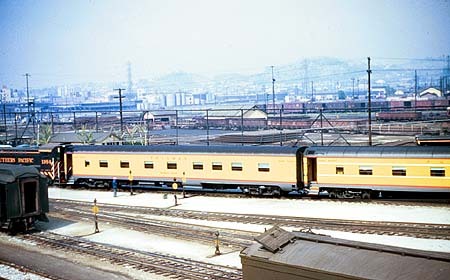 Two Union Pacific lightweight 4-4-2 sleepers visit the SP coach yard..
* The heavyweight Pullman car information was provided by Ken Clark and Ken Harrison.